As the world struggles to deal with threatening outbreaks of violence – most dangerously, in the Middle East and the Ukraine – another less dramatic and slower-burning revolution is getting under way. This revolution does not threaten violence – but it does promise change, and almost certainly change for the better. The revolution that is gathering pace is a shift in understanding and increasingly in policy. What we are now beginning to see is the painfully slow and invariably reluctant abandonment – in the face of evidence that is now impossible to ignore – of an economic orthodoxy that has dominated the global economy for nearly four decades. The late 1970s saw, as we know, the development of what came to be known as the “Washington consensus” – a neo-classical economic policy orthodoxy that proved a hugely valuable travelling companion for neo-liberal politics. 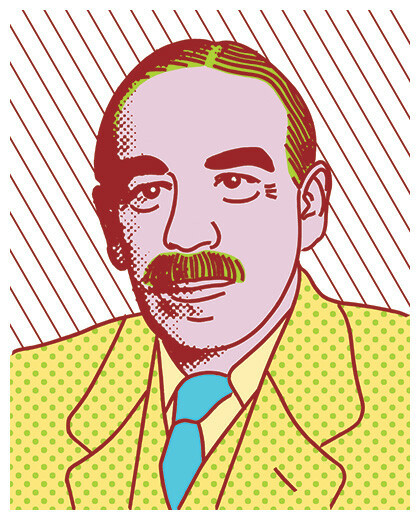 It was driven by the rejection of Keynesian interventionism, a faith in the infallibility of the market, and the conviction that the most that could be asked of macro-economic policy was to use monetary policy, responsibility for which was to be delegated to bankers, to control the money supply in order to restrain inflation. Government was to have a limited role, merely holding the ring while unchallengeable “free-market” forces enjoyed free rein. This approach was given huge practical impetus when the United States and the United Kingdom decided to float their currencies and to remove exchange controls. The ability to move capital at will across national boundaries allowed international investors not only to disregard and bypass national governments but also to threaten them that they would lose essential investment if they did not comply with the investors’ demands. This shifted the balance of power dramatically in the direction of international capital, and – most significantly – was accompanied by a huge transfer of power away from governments and in favour of banks and financial institutions. The paradox of the monetarist policy that was seen as centrally important and that supposedly focused on controlling the money supply was that the money supply was in fact almost entirely a function of virtually unlimited and therefore irresponsible lending by the banks who had moved in to displace building societies as the principal lenders for house purchase. The end result of what must have seemed to the banks like the realisation of the alchemist’s dream was of course the Global Financial Crisis and the ensuing recession. True to form, however, the response to recession was not a rejection of neo-classical economics but an improbable assertion that the crisis had been caused by excessive government spending rather than irresponsible bank lending. The proper remedy for recession, we were told, was austerity and, in particular, a constant downward pressure on government spending. We have now had ample opportunity to test this assertion in the light of practical experience. The answer, whatever may still be the received wisdom in Berlin or London, is unequivocal. As we learnt from the Great Depression, but then forgot, austerity is precisely the worst possible response to recession. The evidence for that does not depend only on the testimony of those who have long warned that austerity would make things worse but on the actual behaviour of the agencies that decide and influence policy. It is not too much to say that, as a result, an “agonising reappraisal” of neo-classical orthodoxy is now under way. The first and in many ways most significant shift in thinking has been highlighted as the world’s major central banks have changed direction in a hugely significant and similar way. The US Federal Reserve, for example, has pursued a massive programme of “quantitative easing” (a more acceptable term than “printing money” but describing the same phenomenon); a large proportion of the US$3.7 trillions of new money has gone to inflate asset values and especially stocks, but the increase in purchasing power and therefore in demand in the wider economy has also helped to engineer a welcome recovery in American employment and output. What is significant about this quantitative easing, however, is that it goes beyond a Keynesian readiness to borrow in order to finance new economic activity. Instead, it represents a new willingness to use monetary policy in a quite different way. Instead of allowing the retail banks to exercise a virtual exclusive monopoly power over the creation of new money for their own purchases, the Federal Reserve has seen the possibility – not to say, the necessity – of using the fiat power of government to produce the new money that the economy needs. This is a flat denial not only of austerity as the proper response to recession but also of the whole basis of the monetarist policy practised over four decades. Other major central banks have taken note. The Bank of England has also practised quantitative easing on a large scale (up to £350 billion, albeit that most of it went to shore up the banks) and broke new ground when, in a paper published in the Quarterly Bulletin of March last year, it conceded (the first such concession by any major central bank) that 97% of the money in circulation in the UK was created out of nothing by the banks, in the form of credit provided largely for house purchase. Significantly, the injection of so much new money – just as in the case of the US – made no discernible difference to inflation. Again, the Bank of England’s action represents a tacit admission that monetary policy is no longer just a rather ineffectual way of trying to control inflation – something that is thought to turn essentially on the interest rates charged by banks for the purpose of lending on mortgage – but is potentially an important instrument in the hands of governments for encouraging and facilitating economic growth. That instrument, if properly understood, could be yet more effective if the new money created by central banks – or rather by central banks at the behest of governments – was directed specifically to productive investment, rather than applied to rebuilding the banks’ balance sheets (as in the UK) or to raising the general level of demand (as in the US). That is precisely the point taken by the Bank of Japan; under the policy decided by Shinzo Abe’s government, the BoJ’s creation of new money has not been spread across the economy in an undirected fashion but has been earmarked exclusively for investment in new productive capacity. In following this course, Abe is consciously following the precepts laid down by the great Keynesian economist Osamu Shimomura, widely recognised in Japan as the father of the Japanese economic miracle of the 1960s and 1970s but virtually unknown in the West. Perhaps the most dramatic reversal of the austerity mindset, however, has been the abandonment this year by the European Central Bank of its destructive austerity stance and its resort to the printing presses – stirred to action no doubt by the threat of deflation in the euro zone and the results of the Greek election. The willingness of the ECB to change course in this way, in the face of continued opposition to this decision from Angela Merkel and the German government, shows just how compelling the ECB found the arguments for doing just that. Smaller central banks have adopted similar changes in approach. In New Zealand, for example, the Reserve Bank, timidly enough, has begun to recognise through its willingness to use macro-prudential measures such as tighter loan-to-value ratios that monetary policy is a very different beast from what it has been thought to be by orthodox monetarists over the last three or four decades. It is not just central banks who have had second thoughts. Many leading economists have also begun to think afresh about these issues. A school of economic thought called Modern Monetary Theory promotes the idea that monetary policy could and should have a much more important role than simply restraining inflation, and that it could when properly applied act as a major stimulus to economic growth. Leading British economists like Adair Turner, who was a leading member of the Bank of England’s Financial Policy Committee, have advocated the use of what has often in the past pejoratively been called “helicopter money” as a means of aiding recovery from recession. Professor Richard Werner of Southampton University, following a detailed analysis of the Japanese experience of periods of both growth and stagnation, has urged the significance of credit-creation as an economic factor. Nobel Prize-winners like Paul Krugman and Joseph Stiglitz have argued consistently against austerity. New thinking of this kind and an increased understanding of the role of banks and of credit creation have also attracted attention and support from leading economic journalists like Martin Wolf of the Financial Times. As this shift in expert opinion gathers weight, even the major international bodies are beginning to abandon the orthodoxy that has governed the global economy for more than thirty years. The IMF has now withdrawn its support for the austerity policies it initially recommended as the antidote to recession in the years following the Global Financial Crisis. And the OECD has recently published an important report in which it finds that the inequality that Thomas Piketty has argued is the inevitable consequence of a free-market economy is a deterrent to, rather than a necessary pre-condition of, economic growth and efficiency. We can of course expect a determined rearguard action from the proponents of neo-classical orthodoxy. There are too many vested interests, defending fortunes and reputations, to allow for an overnight conversion to the new reality on the part of the world’s economic establishment. The experience of the 1930s shows that old certainties are abandoned only with difficulty and after a lengthy period during which the dust clears and a new understanding is gained by virtue of a longer perspective. We may, in other words, now be at a moment in history when a clearer idea as to what went wrong so as to produce the Global Financial Crisis and what has then been needed to recover from recession is gradually but increasingly commanding assent. The disappointing aspect of this glacially slow process is that it is the politicians, and even politicians of the left, who are dragging their feet. It is remarkable that it seems to be the much-derided bankers, economists and officials who are casting aside their blinkers and moving forward, while the politicians are still shying at ghosts and are in thrall to outworn dogma. It seems that those seeking popular endorsement are still terrified of being seen as irresponsible and are therefore unable to break free of the supposed constraints demanded by orthodoxy – the primacy of the government deficit as an economic goal, the limited role for government and of monetary policy, the supposed infallibility of the market – and that inhibit a sensible and constructive economic policy. If the central banks, the international economic organisations and an increasing number of leading economists are able to think for themselves and to learn the lessons of experience, why shouldn’t our political leaders show a little more courage and intelligence. Posted in: Economy, Finance, Ideology, Macroeconomics, Politics. What has Left unity got to do with winning elections? An excellent summary of what is arguably the most important issue for the left, although the lack of response to this and similar articles is disturbing. Politicians are still wary of being seen to oppose austerity, notably Labour here, and this is one reason for the growth in support for the Greens as they have a credible QE based policy, the Green New Deal.But austerity remains a strong force in Europe, buttressed in Germany by the folk memory of the great inflation of 1923. There is increasing recognition that austerity is hugely counter productive and an enormous waste. But it still remains the case that it is easier to explain the ‘household economy’ which justifies austerity than even the simplest Keynesian arguments. As Polly Toynbee once said ‘The paradox of thrift proved too paradoxical’. I have no doubt that the austerity programme should be opposed. To that extent I agree. Beyond that a great deal of this article seems to me to rely too much on the mystical arts of monetry creation. Current austerity programmes are wrong not essentially because they lead to cuts in public spending but because they respond to an economic problem by reducing economic activity. That does not mean that governments can never overspend and never be in a position where the only sane thing is to reduce expenditure. Reading this piece one might think that governments can always spend their way out of a problem by printing more money. Where are the limits to such a policy? Jon provides no clues. At least Keynes famous multiplier effect had a clear basis in unused productive capacity. The smaller the amount of such capacity, the smaller the multiplier. Also we should not discuss austerity as a purely technical question according to which the government has ‘failed’ in its attempts to manage the economy. It is also a political and social question. As a means of battering the welfare state, weakening the democratic process and reducing wages and working conditions it has been a great success. I am also less disposed than Jon to see Keynesian policies as a “revolutionary” alternative. I see them rather as part of an infernal cycle of attempts to shore up capitalism. Keynes, after all, was no socialist. A restoration of the welfare state, greater job security and higher wages, which if course I support, is again not a purely economic matter. It would produce a more confident and demanding working class and this in turn would produce an inevitable capitalist reaction. The problems of capitalism are not technical problems if managing the money supply. They are problems of political economy. I agree with Peter that these issues a vital ones and share his dismay at the reluctance to discuss them. There is a lot that needs to be discussed! Correction: I wrote my response as if Jon Lansman had written the article. Just noticed that it was Bryan Gould. Apologies to both for the mistake. “Jon” should everywhere be replaced by “Bryan”.